Being of a certain Pacific Northwestern persuasion, it’s not much of a secret who I’ll be rooting for in the big game this Sunday. Although Denver, the home of my alma mater, will always have a spot in my heart, it would be a flat out lie to say that I’m “torn” over who to root for. The 12thman. Legion of Boom. Beast Mode. As passive aggressive and politically correct as we usually are, Seattleites don’t mess around when it comes to cheering on their favorite team. But this isn’t a sports blog; this here is a place where food is celebrated. Like millions of other Americans, I’ll doing my part by chowing down on chips and dip and beer on Sunday. 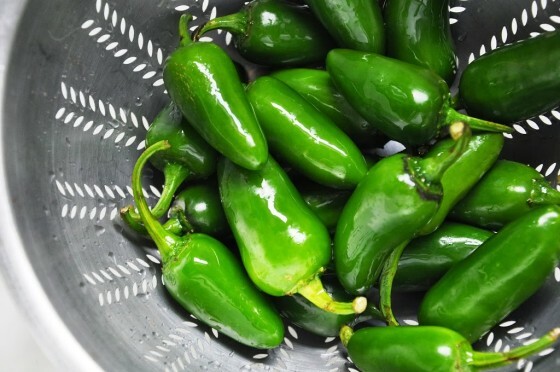 Good old classics like buffalo wings and chili, spinach dip, seven-layer dip, onion dip and hummus. 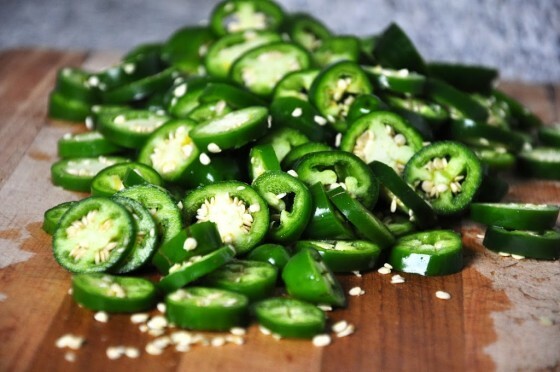 Subtle flavors would seem out of place during such a raucous event; only bold and spicy flavors will do for a crowd so loud and proud. 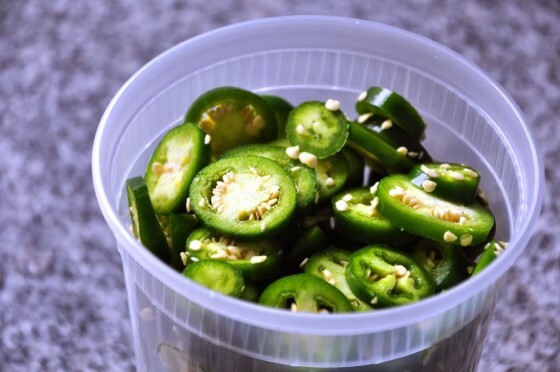 These quick pickled jalapenos fit the bill perfectly; crunchy, spicy and vinegary they will quickly impart a fiery bite into anything and everything. In our house they get tossed into salads, sprinkled on eggs and shoved into sandwiches. For the game, I picture potato skins, nachos, guacamole, chile con queso, salsa—you name it. This recipe is a template; use ½ pound of whatever vegetable you like. 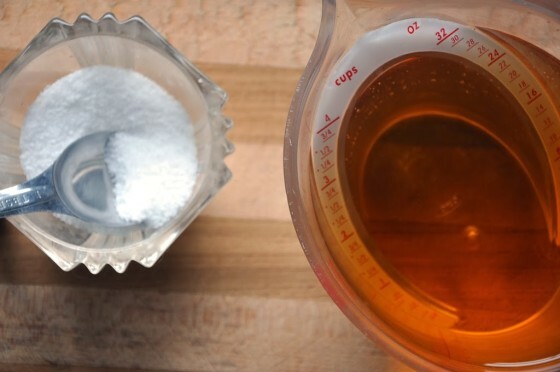 It can be doubled or tripled, made with different spices or vinegars, without sweetener, whatever your little heart desires. Just stick with the vegetable to vinegar/water/salt brine ratio and you’ll be good to go. 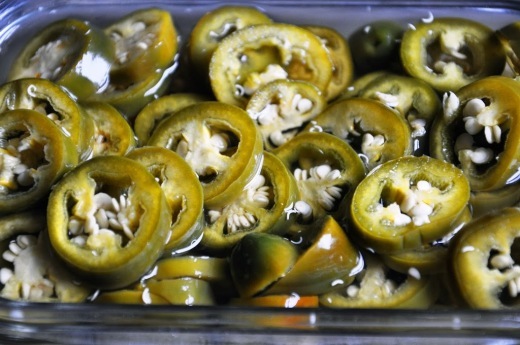 Place the jalapenosin a plastic or glass container with a tight-fitting lid, just big enough to hold all the peppers.